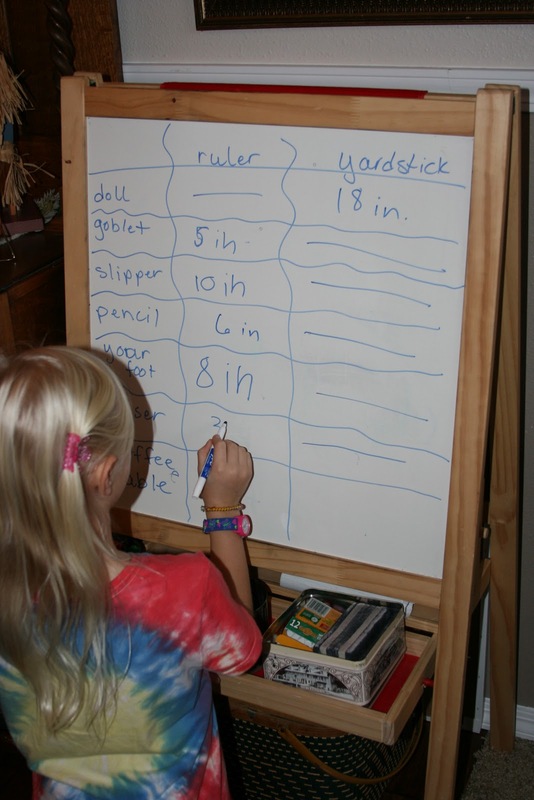 use a ruler or a yardstick to measure an item. then got a little frustrated. it is a span that just can’t be measured. with our frustration or impatience. and work on something else for awhile. Other times, I like to find a new way to approach the matter. so we created a new way to learn the concept. and the joy of learning raced on. This entry was posted in Uncategorized on November 15, 2010 by Mindy. I think that is one of the best reasons to homeschool (among the 47,000 other really good reasons). As a classroom teacher, I tried my hardest to do just that, but you can only do so much in a limited time, with limited space, and 30+ kids all at the same time.PS I LOVE that you were schooling on the floor. Yesterday, my oldest did her school outside in a tent. She was so happy sitting there with her math book, and got done in record time!